"It is close to the Thae Pe gate and walking distance to all..."
Have a question for Boonthavon Hotel? "I satisfied stay here.good location,very kind staffs and clean room etc." "The place is near to Thapae and so convenient to walk to the famous temple around." "Great location, great value for money, clean and nice, just..."
Tucked away in a tranquil lane, yet within the heart of Chiang Mai’s industrial, retail, and entertainment precinct, this resort is a definite choice for those who want both the serenity and the convenience of city life. The city boasts some of the most stunning temples, museums, and waterfalls which are definitely worth visiting. 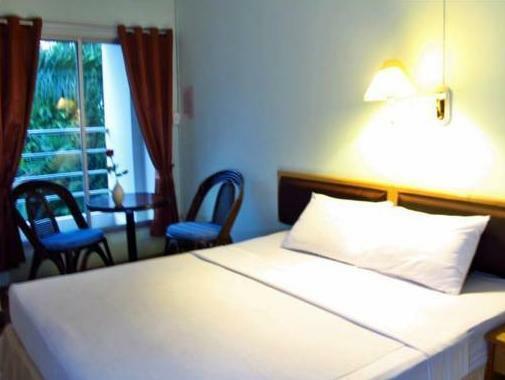 This hotel provides homey accommodation that is perfect for short and long stays. Featuring 39 guestrooms, each room is fitted with teakwood flooring, doors, and window frames boasting the beautiful surroundings. Boonthavon Hotel is confident it will make your stay as comfortable as possible. I enjoyed my stay here very much. My flight was leaving at 11pm, so I asked if I could stay for a half day, until 8pm. Since there was no booking the next day for my room, they only asked me to pay half a day rate and it was perfect. Would stay here again. Keep in mind there are no food or snack facilities available on site, but there are plenty of restaurants and coffee shops just steps away. It's just a two minute walk from Thapae Gate, but a very quiet neighborhood at night. It will not win any awards for luxury but it is a great solid budget hotel in the walls of the old city, close to the action (east gate) but far enough to be quiet. This is the second year we have stayed here and recommend this hotel. It is close to the Thae Pe gate and walking distance to all of the places we want to visit. The room is clean, had AC and has a very hot shower. Also a balcony to hang laundry and a mini fridge. The staff doesn't speak much English but are very friendly. 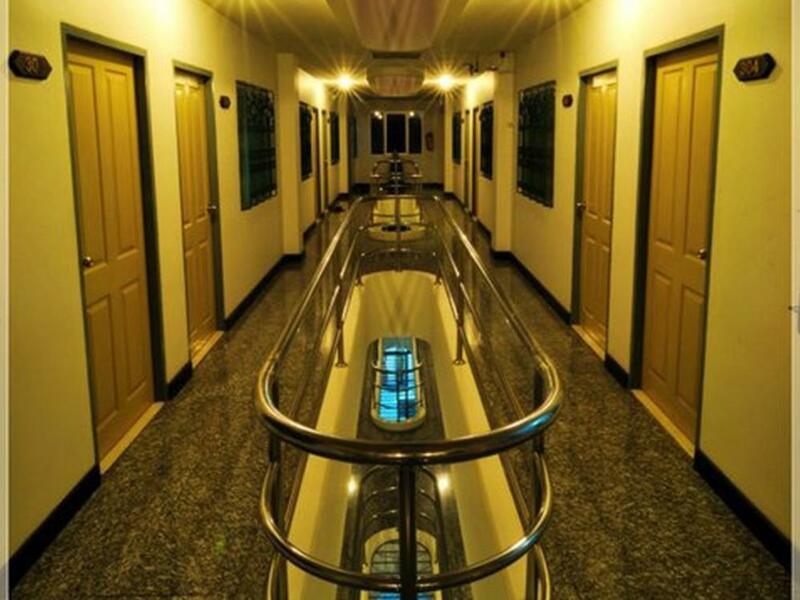 The hotel is located on a quiet side road close to restaurants, pharmacy, massage, etc. I would definitely stay here again on my next visit. Staff is very nice. The place is near to Thapae and so convenient to walk to the famous temple around. It's a nice building. Located very close to important streets. Room was so clean and comfortable. Lots of space! On Sundays you can walk less than 5 minutes and you will be in the night market!! It's very nice!! Lots of restaurants and shops just walking distance. Ordered double bed, but get two single bed. Had booked and paid for a week on Agoda.com, I asked to change, but they told everything was booked full, even i had booked the room weeks before. Three times I see people with double bed checking out, and i asked to get the room, but they were negative. This made me and my wife's holidays in Chiang Mai to feel bad. I had an amazing time and would definitely return. It was very clean and comfy, good location, with easy access to everything on foot and trendy places all around. Finally, the staff was really nice and helpful. Really enjoyed my stay there! Boonthavon is clean and comfortable and well located. The only drawback is the design of the building allows for noise from the carpark and check in area to penetrate to just about all rooms. I stay often at Boonthavon, just take some earplugs if talking children etc. wakes you up. Location perfect as we spent every evening hanging around zoe in yellow. 1 minute walk to really good restaurants, shops and bars.Room clean and comfortable. Aircon good and shower ok. No fault for the price. Would stay again. The room was nice and clean. Bed was very comfortable too! The hotel was very nice, quite and great value for the money. The staff were very happy, friendly, heplful. The rooms were large, clean, comfortable. The breakfast included in the price, have 1 food and 1 drink. It is nice buget place, located in a small and not so noise street, next too the "tha pea gate"..! Hotel provide only cleaning service and internet with good connection ! Look like everything is kind of old around but staff doing there best to keep it in a shape ! Room are little bit noise but not too bad..So do not expect much here but for the money is convenient place. ! Good location, friendly staff, big clean room in good location. Would recommand to any type if traveller. Good value for money. Since the whole experience was disgusting and I don't want to think of talk about it longer than needed, I will simply say the staff are scumbags. Tried to extort extra money out of us, their customers, and they started a shouting match in the lobby, while I remained calm they became more belligerent. Disgusting front desk staff, absolutely disgusting. Hopefully the owner will see this. For bonus they refused to clean our room, and made us clean the room ourselves. Yes, that's true.